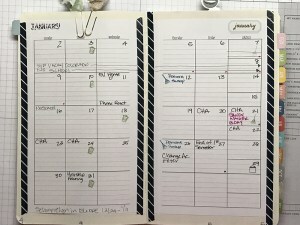 You know when you are all caught up in the holiday season and then, all of a sudden, you realize that you need a new planner for the new year, which is just around the corner, and you have a little panic because there are so many choices and they all look so fresh and colorful, and, well, organized? And you just can’t pick? And you sort of swoon with all the terrific options you have? And you don’t really know where to begin to make that decision? And so you buy two planners? Or three? Or 10? Yeah. We’ve been there, too. 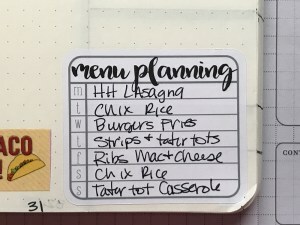 Looking through your planner, are you trying to fit too much into the boxes in your monthly (or weekly) calendar? 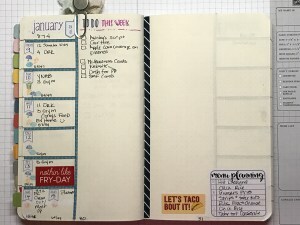 It could be that you need to have a weekly (or daily) layout instead. Are you, perhaps, a lister who has been trying to “list” everything on a calendar format? You might need a bullet journal instead. 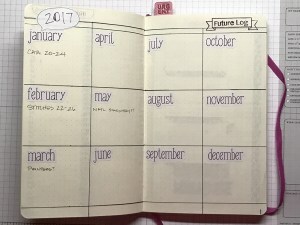 Are you a bullet journaler who is constantly drawing little boxes on your page layouts? You might need a calendar more than a list (or some combination of the two). Maybe try a calendar planner (or do what we do and stick monthly calendars at regular intervals throughout our bullet journals). Did your good intentions to be more organized fall apart a few months in? It might be that you bit off more than you could chew. Perhaps next year, begin with a simpler, more straightforward planning approach. Begin with your simplest idea–perhaps just a regular, spiral notebook for making lists and let your system develop slowly from there. What kinds of things do you tend to record? Is your planner for doctor and dentist appointments, do you use it to keep track of fitness goals and meals, or do you like to add in milestones and achievements? Or a combination thereof? Be sure, as you choose your 2018 planner, that you leave room for everything you like to keep track of. How is your planner working for you? Let us know! Before we were Finders Keepers, each of us walked a lonely, solitary crafting life. We each got pleasure from crafting in all kinds of mediums, but we worked alone, behind closed doors, neither of us knowing the other existed. When we met, it was at a school function. Rachel was a parent of a 2nd grader and Sarah was her child’s teacher. And–get this–the school had no art program. When Sarah decided to start one, she looked around for parents who might help (or “suckers,” as they’re called in the ed. biz….) and hit upon Rachel and we’ve been peas and carrots ever since. Together we have over 50 years of crafting experience and expertise. 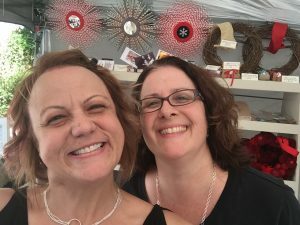 In addition to the art program we started together, we have worked at craft fairs, been co-dependent, independent, Stampin’ Up! demonstrators, and launched Finders Keepers, an online papercrafting and memory keeping source for inspiration and our handmade, custom designed memory keeping kits. Over the years we have heard from so many people who would like to become crafty sorts, but feel they can’t for whatever reason. We started Finders Keepers to help these people. We believe everyone has creativity inside of them (although it may have been squished or lying dormant for some time). We believe that getting pictures off of our phones and into albums is an act of love. We believe that individuality and self expression are important–even vital–aspects of day to day living. We want to help you find the time and make space in your world to celebrate your creative self (all in a very affordable way).